Last time we covered how to choose the best social media platform for your book. On this post, we focus on the king of social media. If you choose only one social platform, you would be wise to market your book on Facebook. Facebook gives you the largest audience, the largest variety of content mediums, and the best analytics with the shortest learning curve. The sheer size of Facebook’s audience guarantees that your readers will have a profile and with numerous ways to engage with them. While the details and analytics of Facebook marketing can get pretty advanced, getting started takes just a few minutes. 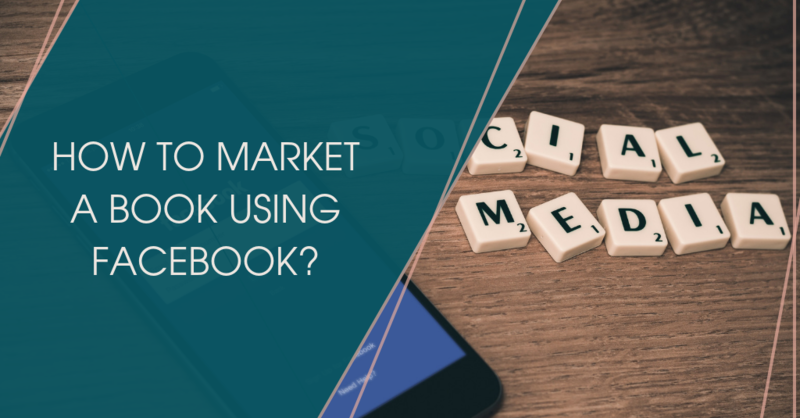 Whether you are just beginning or you know your way around a status update, you can market your book on Facebook. Why use a Facebook Business Page for your book? Facebook is one of the first places people will search for you, your business, or your book. Think of a business page as your social billboard. This is the best place to keep your audience up to date on your book’s launch, business happenings, and free or paid offerings. You also must have a business page in order to create paid ads. Why not just use your personal profile? First, using a personal profile for business purposes is a gray area. In Facebook’s terms of service, they state that a personal profile cannot be used for commercial gain. Disregarding this advice could lead to suspension or deletion of your account. Second, you can only have 5,000 friends on your personal profile. A business page allows for unlimited fans. Finally, we all have that friend who is constantly posting annoying, spammy content on their profile. Don’t be that guy. Bonus: Google indexes Facebook business pages (but not groups or personal profiles). This is REALLY helpful for audiences that look for you on Google. It also makes a business page more important, as Facebook pages typically rank high in Google. Keep your page’s branding consistent. Use your headshot from the back of your book as your page image. People connect with and engage with people. Having a face for your book will encourage positive engagement. Try to limit your color palette and design to stay in line with your book. You want your page to feel like an extension of your cover. Too many themes can confuse your audience. Keep your content focused on your primary message. Make sure the content you create or share from other sources is relevant and interesting to your audience. Unless your book centers around animals, the dozens of pictures you took of your new puppy should stay on your personal profile. Make use of your cover photo for your book launch. Keep your audience updated on your writing process. People love to feel part of the creative process and sharing their opinions. Creating an event for your launch week is a great way to remind people to grab your book at a discount (if you are offering one) and participate in any special incentives or giveaways you might offer during this time. Why use a Facebook Group to market your book? Groups the best place on Facebook to interact with like-minded people. Being in a few different groups will help you through all stages of your book writing and marketing. Groups can help you find a solid launch team, promote your launch, find podcasts and blogs to review or promote your book, provide insight into the best ways to word your marketing, and provide encouragement during any stage of the process. Creating your own book-centric group can also provide a lot of value for your readers and allow you to continue to nurture your relationship after they finish reading your book. This is especially beneficial if you are offering products or service related to your book or you plan to write additional books in the future. Every Group has their own set of rules and guidelines. Be sure to read those carefully before posting. Most groups don’t allow solicitation but many business-oriented groups have weekly promo threads. Join as many groups as you have time to provide value. If you only jump into a group once a week to promote your product, you likely won’t see the results you are looking for. Instead, spend a few minutes each day responding to posts or create engaging conversations. This shouldn’t take any more than 5-10 minutes per group. Most authors will find value in a group dedicated to other authors and writers but make sure to join groups around your book’s topic as well. This will be where you will find an audience that will really find value in your writing. If you are building a business or brand, a group is the best place to engage with your audience. Groups are more personal than emails and less invasive than personal messaging. One caveat to groups is they are more time-consuming than most social avenues. Your goal with a group is to build a culture and community around a common interest or pain point to the point that your community is interacting and connecting with each other. Choose a topic that you are well-versed in and is the overarching topic of your book. Choosing a niche that is narrow enough to not be pushed out by older, more established groups, but broad enough to appeal to a large enough audience is key. Why not just create a group about yourself or book? People love talking about themselves and talking WITH other people. No one likes being talked AT all the time. Creating a group centered around you or the book limits your content to talking about you or the book. You want to encourage an environment that provides friendship, guidance, and problem-solving on a much bigger scale than yourself. This is where you will see your group and its engagement take off. Why use Facebook Ads to promote your book? If you don’t have a large audience or list, ads will help you reach a much larger audience in very little time. Facebook ad targeting is very advanced (though not perfect) and you can reach a lot of money for very little investment. A Facebook pixel is a little piece of code that you add to your site or landing page to track visitors. The information gathered by the pixel allows you to create custom audiences, better understand your visitors, improve your ads and sales funnels, and reduce your ad costs. I recommend creating and adding a pixel to your website and/or landing page even if you aren’t planning to buy ads right now. The earlier you install your pixel, the more information you will gather about your audience. Avoid a lot of text in your ad’s image. Facebook used to limit text to less than 20%. While this is no longer a strict rule, it is still a solid guideline. Avoid overusing the words “No,” “You,” or using scare tactics in your ads. Facebook is very particular about the content they show to their users. Personal attributes and negative impact are often denied. Avoid overhyped, unusual, or unrealistic claims. Even if you have a remarkable testimonial, if your claim sounds too good to be true, Facebook will think it is. 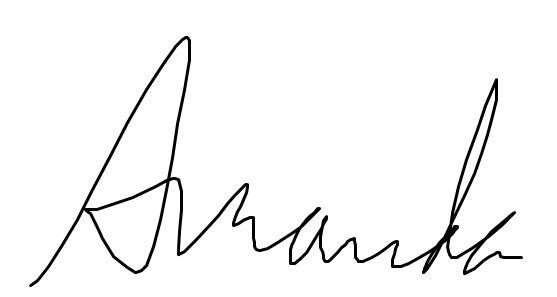 Test, test, test. Don’t be afraid to tweak your ads frequently to get the best results. A simple headline, image, or copy tweak can be the difference between $1 clicks and $0.10 clicks. Why use your Personal Profile to market your book? While you can’t sell your products or services from your business page (without rising a ban), you can leverage it to expand your network and benefit your marketing efforts. You can use your profile to reach your audience and your peers in a more personal, direct way than a business page. This is the best way I have found to network with peers, collaborate, and book podcasting, video interviews, and guest blogging opportunities. You can also join groups where your audience hangs or to get a deeper understanding of their interests, needs, and voice. If you haven’t already, join a couple groups for peers interaction and a couple for your ideal reader. Looking for a great group for authors? Check out ours! If you are actively engaging in groups, whether you are asking questions, commenting, or answering questions, people will naturally hop over to your personal profile to find out more about you. Make sure they get the best impression. Match your photo to your branding. If you keep your brand photo consistent, you will be instantly identifiable anywhere you go online. Add your website and make sure it’s public. I could go on all day about this platform but I wanted to at least give you a basic understanding of the potential to market your book on Facebook. The audience is huge, the analytics are unmatched, and the opportunities are nearly endless. If you are marketing a book on social media, Facebook is still the leader of the pack. P.S. This was a REALLY hard article for me to write. I wanted to cover so much more than I could fit into one blog post. The editing and cutting of this article took days! So if you have any questions on anything related to Facebook marketing I couldn’t include, make sure to go over to our Facebook page or group and drop me a comment. I’m happy to help.